Samsung's U Flex in-ear headphones make a fine addition to any active person who likes listening to music while running. In fact, they're pretty comfy to wear, so they're worth every cent if you're looking for a decent pair of headphones. Although Samsung U Flex headphones usually sell for $80, you can now purchase a pair at half price. 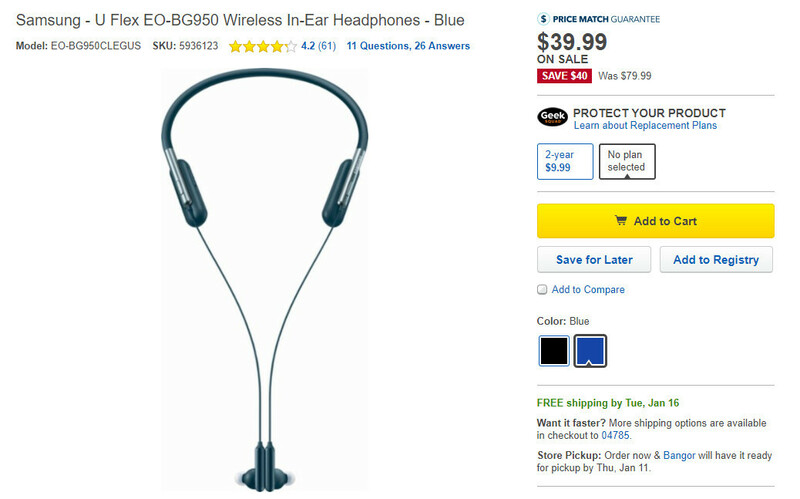 For a limited time, Best Buy offers the accessory for $39.99, but only if you choose the blue color. The black version of the headphones are on sale as well, but the discount is smaller. However, if you absolutely must own the Samsung U Flex in-ear headphones in black, you'll have to come up with $57.99, which is exactly $22 less than the suggested retail price. The U Flex in-ear headphones offer up to 10 hours of use and last up to 250 hours on standby mode, Samsung claims. They also feature an in-line microphone and come with 3 pairs of ear tips (small, medium, large) in the box.